Our A3 Poster Printing Service is unbelievable value for money, we can print and arrange fast delivery of your A3 posters. A3 posters can be used to promote all sorts of events, can be used by: Pubs, Clubs, Hairdresser’s, they can be used to great effect by: Schools and Universities. A3 posters are the ideal size for promoting any special event you are organising, maybe you are looking to promote a band, you can use A3 Advertising Posters to promote upcoming gig’s and music festivals. They are the perfect size for use to display in windows and notice boards. If you run an amateur dramatics society, use A3 posters to advertise your performance, A3 posters can be used by retail shops to advertise special offers and discounts, a very versatile poster size. All of our A3 Poster Prints are printed on the latest xerox presses, digital printing is an excellent way to produce A3 poster prints. Digital printing allows us to produce small quantities of posters at a great price. You may only need a small amount of posters to advertise your event. A3 prints are twice the size of A4, you can set your A3 posters up in many types of desktop programmes, you want to set the A3 poster size to 297 x 420mm. Great size posters to promote any event, low cost A3 poster printing and very versatile, what more do you need in a poster. We send all our deliveries out by next day tracked courier so you will have your posters securely delivered and fast. You can combine your A3 posters with larger and smaller posters to really make a big impression. 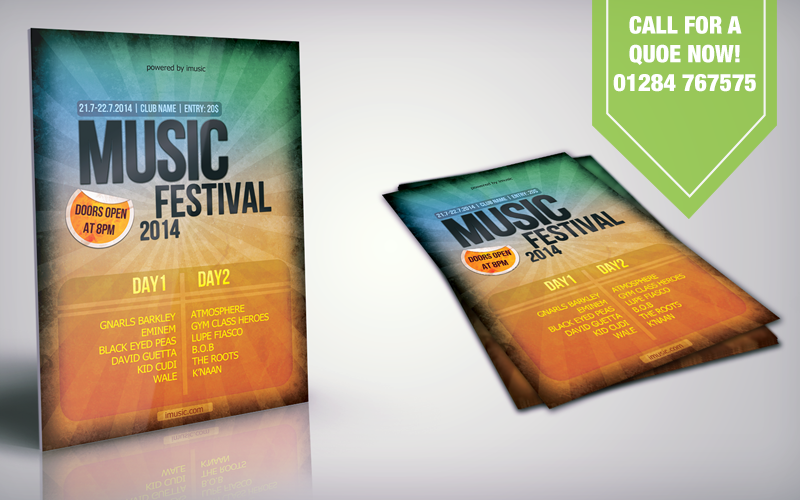 Call Us Now for a Quote on 01284 767575, we can save you BIG money on your A3 poster printing. We deliver A3 Poster Printing to the following areas.